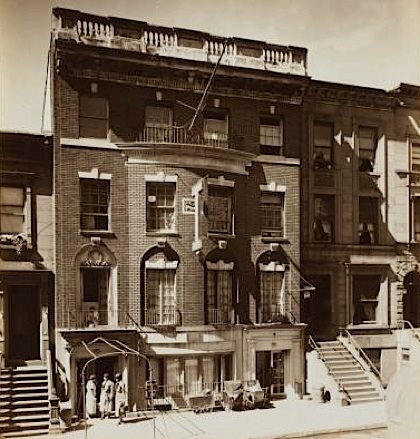 This was the site of A’Lelia Walker’s (1885-1931) home and famous salon, “The Dark Tower,” which she hosted for writers, musicians, and other artists during the 1920s. It was named after a sonnet by queer poet Countee Cullen, which has been said to capture the spirit of the Harlem Renaissance (see below). Sadly, Walker’s historic home was demolished by the city in 1941. Appropriately, the Countee Cullen branch of the New York Public Library now stands on the site.